Chandigarh: The executive committee of ‘World Sikh Parliament’ today sent a written statement about the resignation of Giani Gurbachan Singh from the post of ‘Jathedar’ and SGPC’s move to convene emergency meeting of its executive committee to discuss the resignation and appoint new ‘Jathedar’. Gurbachan Singh is widely recognized as a tainted appointee to the exalted position of Singh Sahib with the principal purpose of diverting the gaze and determination of the global Sikh Panth away from the actions and debaucheries of the Badal family controlled Sikh political institution Shiromani Akali Dal. 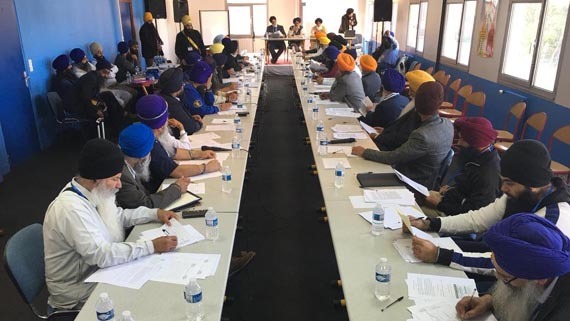 The World Sikh Parliament rejects the drama of his offer to resign and call for the Shiromani Gurdwara Parbandhak Committee to appoint a replacement Jathedar under the continued influence of Parkash Badal. 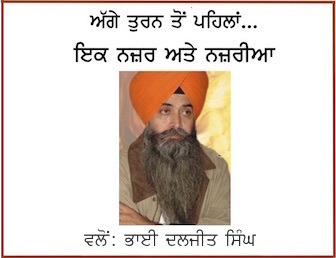 This so-called Jathedar had been removed from the honorable post at Sri Akal Takht by the historic Sarbat Khalsa of November 2015, convened by the Panth due to repeated anti-Panthic activities, yet today this squatter has merely offered his resignation and this sham does not go unrecognised by the World Sikh Parliament. 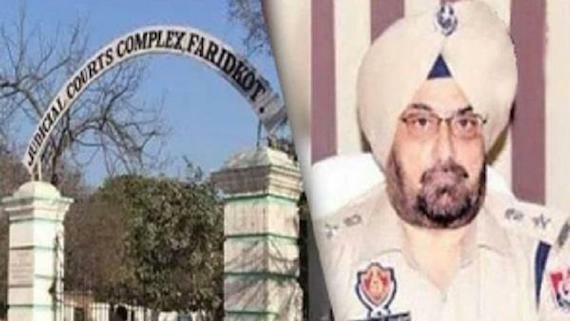 It is clear that attempts are being made by the cartel and associated political cronies of Parkash Badal to appoint a new Jathedar, a situation we condemn and strongly protest. We urge the Panth to stay aware and alert of the person to be nominated by the Shiromani Gurdwara Parbandhak Committee under the influence of Parkash Badal and whosoever is selected by these charlatans should be rejected outright from the onset. Singh Sahib Bhai Jagtar Singh Ji Hawara was given the service as the Jathedar of Sri Akal Takht Sahib unanimously by those present and participating in Sarbat Khalsa of November 2015. Today, with the removal of Gurbachan Singh from the Jathedari due to his position being untenable vis a vis the legacy and history of the Panth, only Jathedar Singh Sahib Bhai Jagtar Singh Ji Hawara can be considered the legitimate Jathedhar. He is chosen by the Panth, in accordance with Panthic siddant (process) and not under the influence of anti Sikh elements and ideologues. Jathedar Bh. Jagtar Singh Hawara, Bh Dhian Singh Mand, Bh. Baljit Singh Daduwal and Bh. Amrik Singh Ajnala should continue working together to give direction to the community and should try to revive the Panj Pardhani and Miri/Piri System of governance. By convening a meeting of its Executive Committee, the Shiromani Gurdwara Prabandhak Committee is continuing the conspiracy to create a Jathedar of Badal, who may well be ‘ordained’ in the coming days. Those members of the Shiromani Gurdwara Parbandhak Committee should understand clearly that the Panth is fully alert and will not recognise any state appointed stooge Jathedar.